Preseem’s Quality of Experience (QoE) optimized Access Point Shaping is now live and above all, deployed across numerous fixed wireless networks. This was developed as a result of extensive feedback from Preseem’s customers and to solve a critical need for Wireless Internet Service Providers. It’s a unique feature that allows network managers to support a higher number of subscribers per access point while maintaining a good QoE. Preseem’s Access Point Shaping leverages active queue management techniques based on FQ-CoDel to ensure that all subscribers get fair access to the available access point capacity. It’s known that happier customers churn less. Consequently, this helps WISPs to keep their churn rates under control and to increase revenue. For more information on how Preseem can help WISPs lower churn and increase revenue, watch this webinar. There is often a trade off between throughput and latency. As you push more bandwidth through access points they start getting congested and buffering occurs which increases latency and loss. This leads to a poor subscriber experience. So, the key is to find the sweet spot between throughput and latency. 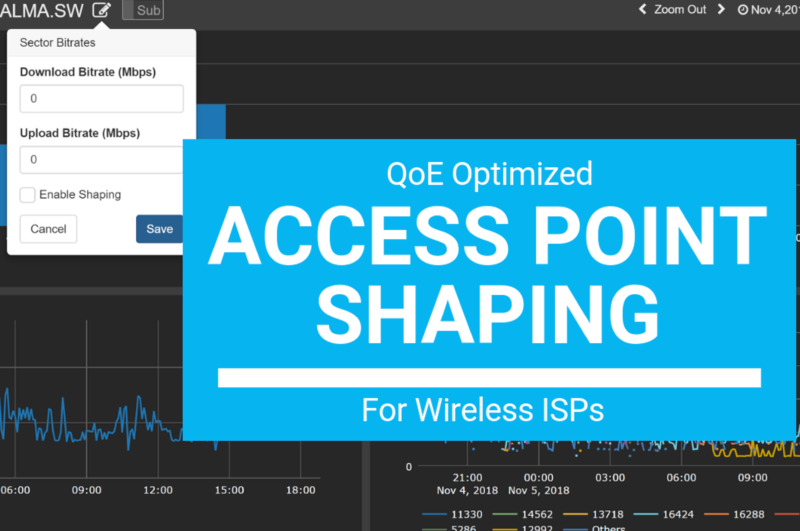 Preseem QoE monitoring helps find the right balance and Preseem’s QoE optimized shaping ensures that all subscribers get a good experience within the bandwidth allocated to the access point. 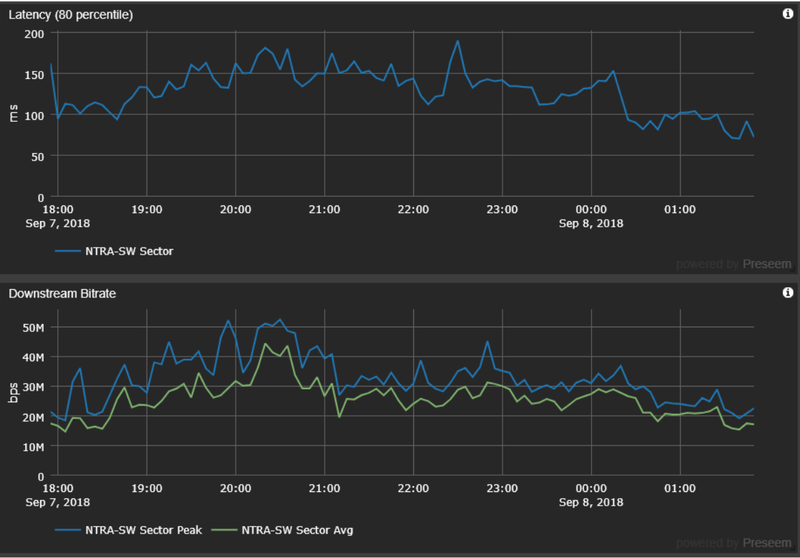 In this scenario, the AP (Ubiquiti Rocket 5AC Prism) for a WISP customer was congested and adding 150 ms of latency at 50 Mbit. 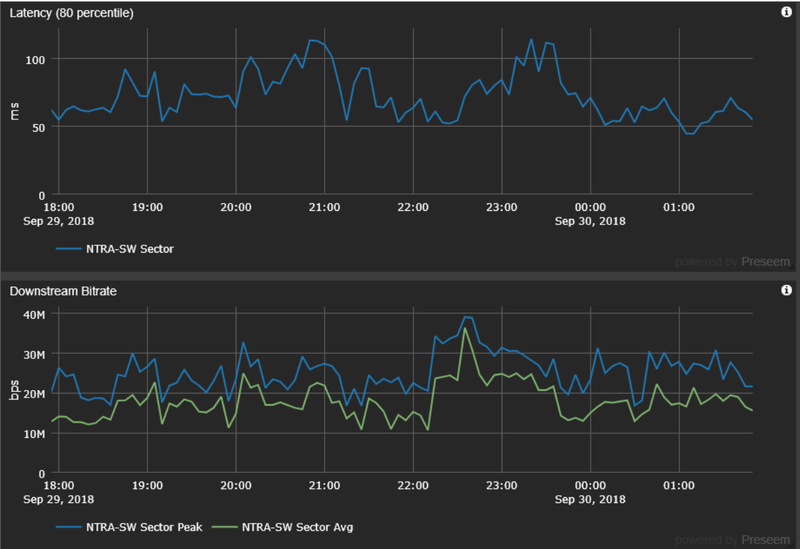 By reducing the throughput to 40 Mbit using Preseem access point shaping, the latency came down to 100 ms. Consequently, subscribers experienced a much ‘faster feeling’ internet experience which leads to reduction in support calls/ complaints. Setting up access point bandwidth limits in Preseem is simple. Just go to the daily view of your wireless summary and select the access point you wish to configure. Once in the access point view, click on the configure icon in the top row. Enter the desired values of upstream and downstream limits for this access point, check the ‘enable shaping’ option and hit save. With just a couple of clicks, shaping on the selected access point will be active. You can also watch the video below to follow these steps. Click here to get in touch with us today and get access point shaping for your network. Don’t forget to ask more information about our free 30-day trial.